We effectively faced a major drought occurring within the space of several days – we need to have much greater engagement with customers in order to deal with all resilience issues and water efficiency is a key aspect of this. 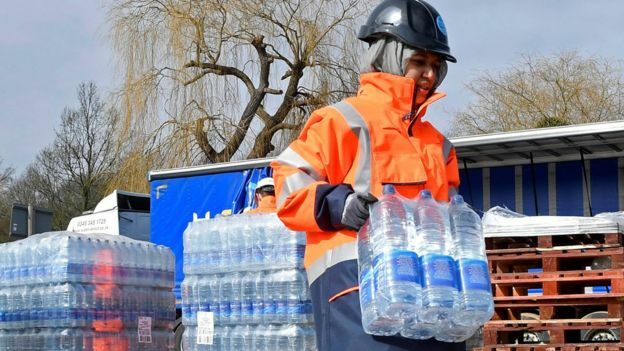 More than 20,000 homes in London were without water in March 2018 due to an extreme weather event. Southern Water reported loss of supply to around 1,000 homes. Around 3,500 homes in Wales lost water supply and many parts of Birmingham, the West Midlands and Staffordshire (BBC News). This network related event effectively led to the need for drought level responses. Londoners were told to “use as little water as possible” and to “take shorter showers”. Southern Water urged customers to “only use the water you absolutely must” (BBC News). There are many questions being asked about the response to this incident. Ofwat have released their terms of reference of review of freeze/thaw incidents. This will cover assessment, planning and preparation, handling of incidents, communications and support, and ongoing support. We’ve suggested it should also look at the role of water retailers in working with customers and wholesale companies during this period. Although water companies are moving beyond just being in contact with customers when there is a bill or a problem, this incident further illustrated the need for greater effort in this area if we want customer “participation” before and during resilience incidents. A much closer relationship with customers could enable a better understanding of vulnerable users but also how to help/encourage them to prepare, and then to provide support to them. Increased and sustained baseline communication on water resources, networks and how to save water could enable more effective customer participation during future resilience issues. Water efficiency was a key message to reduce demand from the system in order to maintain supplies. The Waterwise Water Efficiency Strategy for the UK highlighted that consistent and co-ordinated messages are important for effective communication and vital to developing a water-saving culture. But there is a lack of consistent messaging and little coordinated or collaborative action between water companies. The 2012 drought highlighted the importance and benefits of having joined-up messaging across the sector (as did the recent freeze-thaw incident). How does this link with the 2012 drought? There are many lessons that can be learnt from the 2012 drought that apply to future drought (which has been looming recently in the South East of England) or other resilience issues. Joint working and messaging was really important during the 2012 drought – how could this have been better coordinated by water companies in the freeze/thaw event, particularly in London? Having agreed messages and a single point of contact helped in the 2012 drought – can we have these prepared in advance for a range of future resilience issues? the public on wider water issues, these include bodies such as the Met Office, British Geological Survey (BGS) and the Research Councils – how could these bodies have helped with forecasting and communications during the incident? reason for the drought to be water company leakage. This highlights that there is a need to increase general knowledge around water, as there is a lack of understanding of water processes amongst the public – a survey following this incident may also find a lack of understanding of water networks and that there is some baseline risk that can’t be prevented. How can this better be communicated? There clearly needs to be a national ongoing campaign to promote water issues and water efficiency, so that there is a background of understanding in advance of the next drought – this ongoing communication would help as customers would already be engaged during resilience issues. Water companies should look at the option of using mass media such as television or direct mail during future droughts which would enable them to provide more in depth information about the hydrology of the drought. There is a lot of academic research that shows the potential for instilling pro environmental activity through normalised behaviour. However this requires a baseline of understanding and more information than is currently provided, the current information on water resources and water efficiency is passive and there is a need for proactive provision of information – it will be really important to understand the most effective modes of communication on an ongoing basis but also during resilience events. It shouldn’t just be social media. There was a missed opportunity in terms of wider collaboration. For instance Thames shared its copy and images with other water companies but the use of other logos on the images (other water companies, Met Office, EA, and NGOs) would probably have added credibility and showed that this was a wider issue- how can water companies engage with other trusted bodies during resilience events? There urgently needs to be a well-resourced and constantly updated industry source of information on water resources (this could be web-based) – this communication would help ongoing customer engagement and participation. Television was the primary source of information on the drought for customers, however clear and concise geographical splits should be communicated through the media to explain where TUB restrictions are imposed – this finding supports the need for mass communication, which is something water companies held back from during this incident. Water companies should notify those non-domestic sectors that might be affected by potential drought restrictions as early as possible – customers would prefer to know if they are going to be affected, however some water companies didn’t communicate early or the extent of the problems as they didn’t want to cause panic. 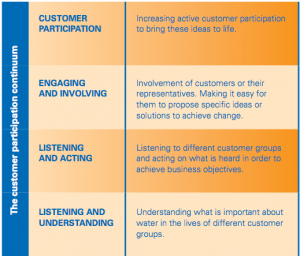 Water companies need to better understand the desires of their customers for communication during these incidents. Water company websites, although not identified as a key source of information, saw a huge upturn in visitor numbers during the TUBs. Messages and access to further information should be easily accessible from the landing page of the website, and data should be updated on a regular basis (even outside of drought periods) – we know that some water company websites couldn’t handle the number of visits during this incident and this needs to be reviewed. What can we learn for water efficiency and what research may be useful? Although this was an extreme incident that happened in a short amount of time it does raise questions about the industry’s overall engagement with customers and the ability to deal with a more prolonged incident such as drought effectively. Many of the recommendations from the 2012 drought haven’t been taken forward, however Waterwise and our Leadership Group on Water Efficiency and Customer Participation is looking to take forward a national communications platform that could help with longer term customer engagement. What are the roles and responsibilities of retailers for supporting water customer resilience?